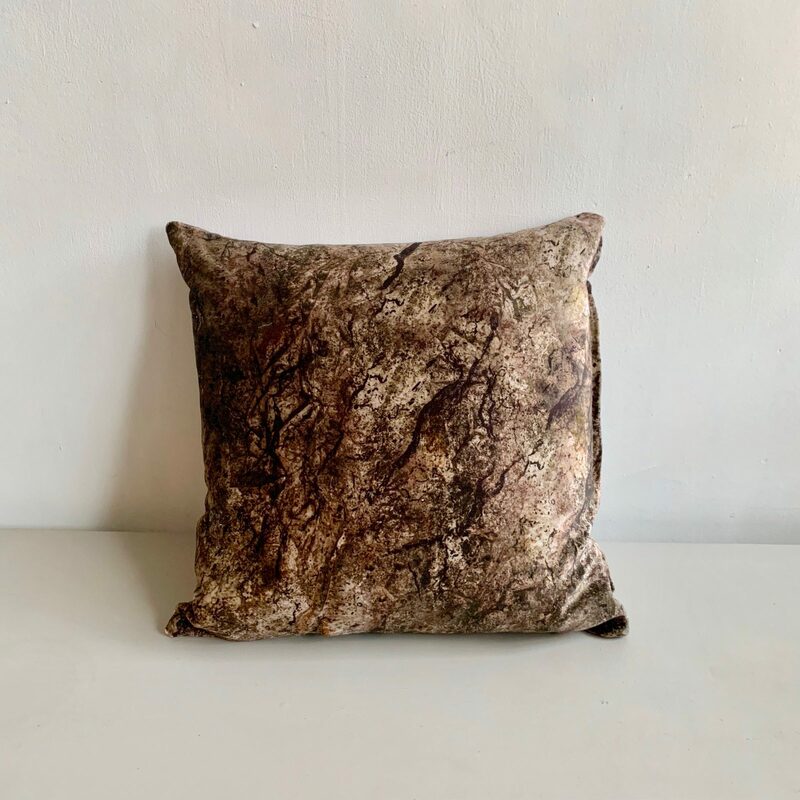 One large handmade velvet cushion. One side is patterned velvet with purple velvet on the other. Feather cushion interior with zipped removable outer.